- Live the obsession of all Head Coaches : Player Injuries, unavailability... - Build the best Starting Lineup and the most effective. 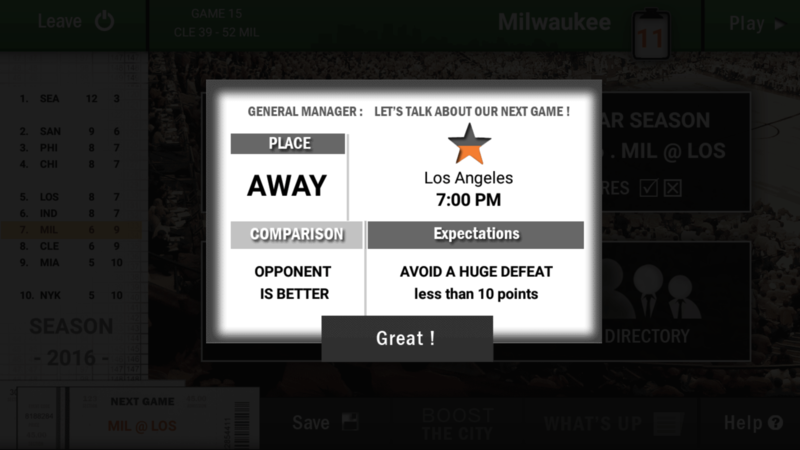 - Learn from your players: Names, Skills and more. - Follow the player Statistics, and the Box Score during the games. 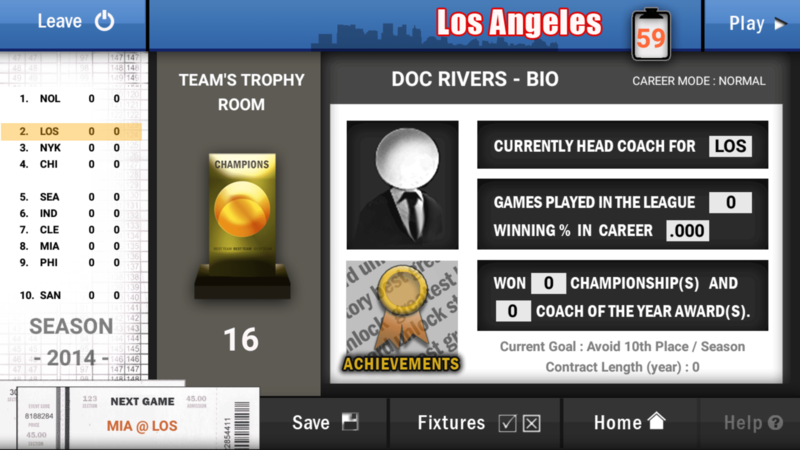 - Assign one Position to each player before the matches. 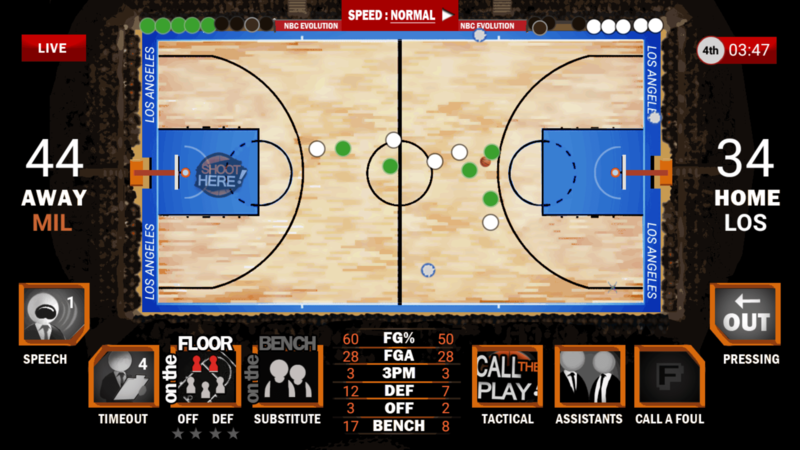 - Give your Instructions on the court, and manage Stamina. - Follow the game and watch your system running in live. - Choose the Player who will take the Shot. - Enjoy a New Realistic Transfer System. 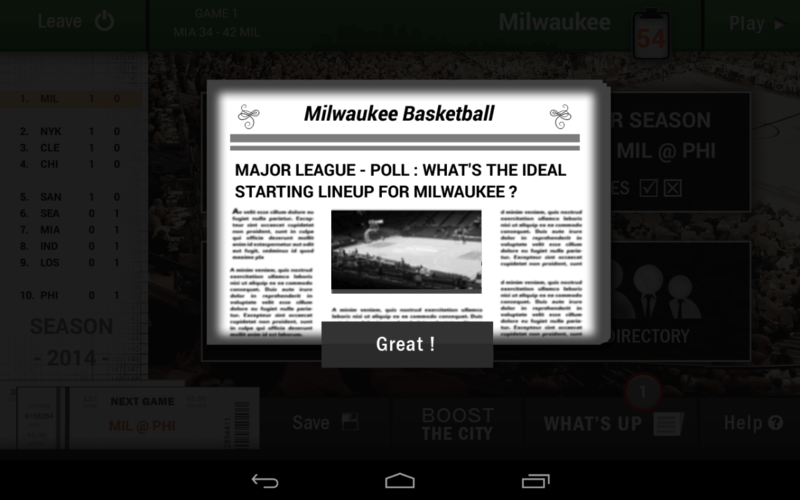 - Choose a Specific Daily Workout before each game. - Share your opinion with Managers about tranfers. - Create your own City and choose his colors. - Sign with Teams who desire your services. - Tactical decisions, Challenges and more Complexity !